LOCATION: 1151 Milton Street, site of the #1 Esplanade mine, Nanaimo. 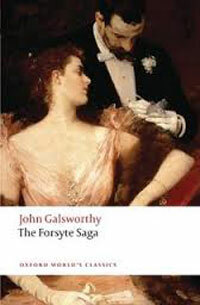 It’s well-known that John Galsworthy won the Nobel Prize for Literature in 1932. Few people know that, according to Nanaimo historian Lynne Bowen, Galsworthy briefly lived in Nanaimo in 1891, at age 24, at the Esplanade home of Sam Robins, Manager of the New Vancouver Coal Mining and Land Company from 1884 to 1903. 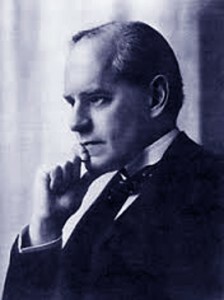 The company was governed by a board of directors in London, England, headed by John Galsworthy II, father of the novelist John Galsworthy III and prototype for old Jolyon Forsyte in The Forsyte Saga. “Robins himself lived on the Esplanade not far from Number One Mine,” writes Bowen, in Three Dollar Dreams. “Like many Englishmen of the Imperial Age, he had a self-appointed mission to amass an impressive collection of trees from all over the glode. Ship captains brought him exotic specimens to add to his collection, but he was particularly fond of holly trees and had them planted all over Harewood as well as on his own property. Robins’ property and most of the trees still exist near the waterfront in the south end of Nanaimo on The Esplanade close to downtown and not far from the Gabriola ferry dock. Robins’ Gardens at 1150 Milton Street commemorate the man who was once Nanaimo’s most important citizen. 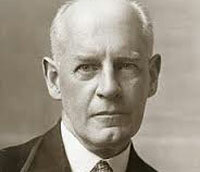 His 18-room home where John Galsworthy stayed with his brother has long since disappeared.